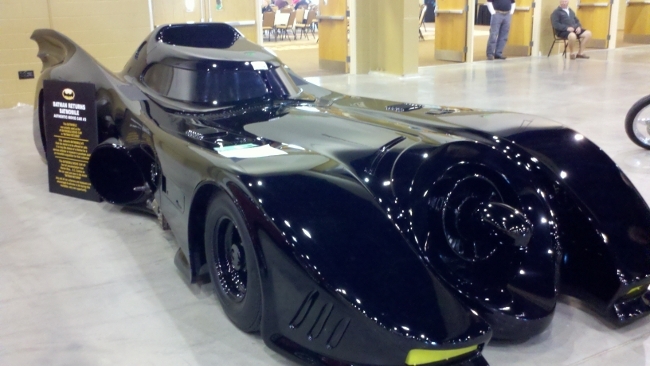 Film buffs attending the Mecum Auto Auction in Kissimmee this January got a real treat. 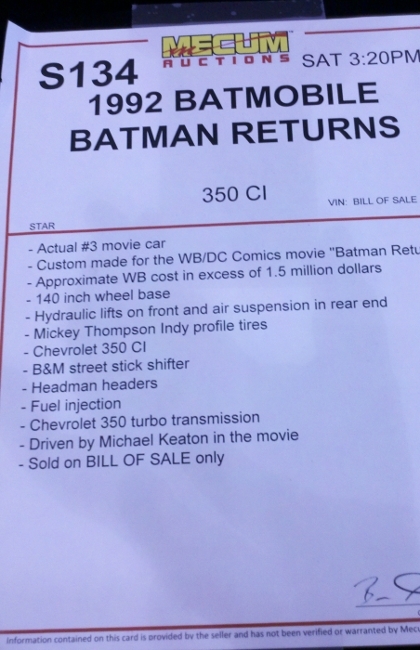 A vehicle on auction was an original Batmobile from the movie Batman Returns. 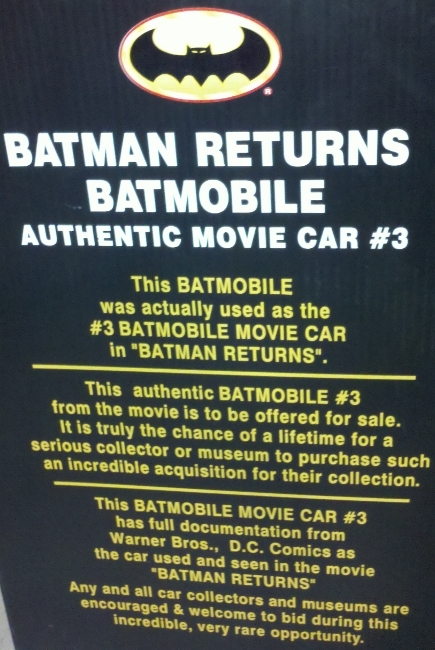 Apparently, the auction of the Batmobile was not successful as the Batmobile is still available for sale here. This entry was posted on February 9, 2011 at 1:58 pm and is filed under Special Events. You can follow any responses to this entry through the RSS 2.0 feed. You can leave a response, or trackback from your own site.